Western Scientific Company Limitedis a dynamic Marketing, Sales and Distribution Company based in Central Trinidad. Established in 1985 and having celebrated its platinum anniversary in 2005 with 20 years of business excellence, WSCL continues to excel within the Caribbean market. Furniture: Educational & Vocational Institutions, Business Offices & Health Care Institutions. Audio Visual: Projection Presentation, Audio & Video Electronics, Video Production, Furniture & Accessories. Education: The provision of Equipment in the following areas – Scientific, Art & Crafts, Language Laboratory, Technical Drawing, Food & Nutrition, Early Learning, Agriculture Technology, Mathematics, Music, Sports, Beauty Culture, Clothing & Textiles, Home Economics. Technical Service: Installation, Servicing & Commissioning support for all equipment we provide. Consultancy:Selection of Scientific Laboratory Equipment & Automation in Clinical Laboratory. Test & Measurement: Tertiary & Vocational Training Equipment. At WSCL, we are dedicated to our customer’s successes; we recognize the importance of flexibility as the needs of the market is ever – changing. We endeavor to exceed our competitor’s standards with qualified, efficient staff, able to identify, recommend and provide the most appropriate products & services for all our customers’ applications. 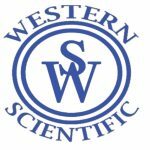 Western Scientific Company Limited is committed to meeting our customer’s high standards and providing the regional market with unparalleled service.